It really is. I watch my church friends run from this practice to that game to... It seems never ending for them. Could I do it? Probably. But I won't because my life is full with too many other things (and we homeschool, effectively reducing the number of extracurricular activities pulling at our time). If we're writers, platforms are a MUST. There is NO disputing that. They’re a fact of our lives. At least they are if we ever want to sign a publishing contract. Check out what Terry Burns has to say about the importance of a platform. Sobering--especially if you haven't been working on a platform but have books written. If we’re writing our blogs geared toward other writers more posts is a huge turn off because writers are juggling two lives--their work and family AND their writing life because most can't do just one or the other. But what if we’re writing for those who aren’t writers? If our blogs are aimed at people who aren't writers, who are READERS…who most likely won’t comment? Case in point: Karen Wingate’s blog. Recently she found others are reading her blog--local friends! They don’t leave a comment, but they chat about it. And I don't blame them because I love Karen's articles too. How does that effect the blogging equation? 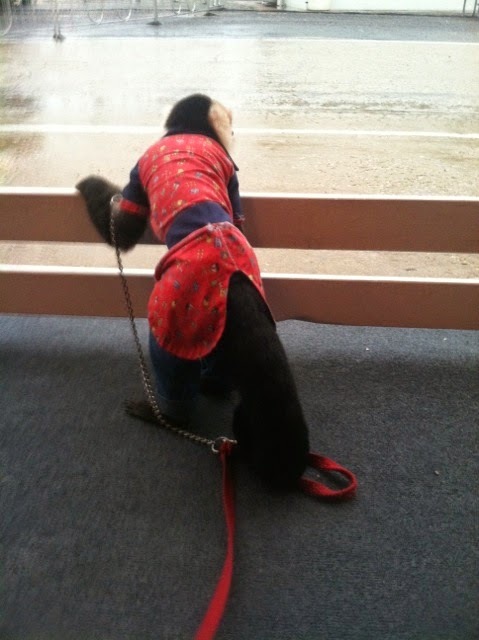 Fonzie looking for all the people. And what if the blog is for writers, and readers, and people wanting to see pictures of monkeys, or your latest knitting project, or whatever it is you do besides write? How does that factor in to what you post and how often? This is something I’ve been mulling over a lot lately—especially as I work Twitter more (hey, doing ANYthing on Twitter is more than I’ve done in years, LoL). The people I see on Twitter are other writers. I get notices that I have new people following me on Twitter—and ALL of them are writers. Makes me wonder if there’s any NORMAL people on twitter. Or do the normal people lurk? Or… I just don’t know. So tell me, where do YOU get the best ROI for your social media (PLATFORM) time? I've been getting a lesson ready for ACFW's stay-at-home conference--it's on blogging and I've had so much fun working on it! I've been doing some digging, asking questions on my agent's loop, and relishing this dive back into a topic I love. 5. Don't let perfectionism paralyze you from publishing. Nobody's perfect. 6. Even the best bloggers run out of ideas. The difference? They don't quit. 7. Turn your blog post into a podcast, video, slideshow, infographic, etc. "Recycle" via other technologies. 8. Don't neglect social media platforms. 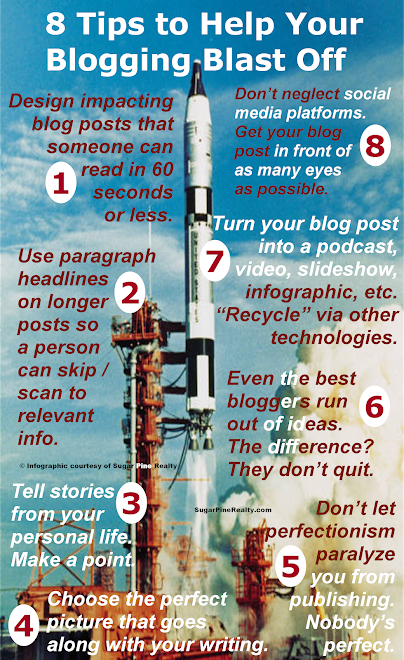 Get your blog post in front of as many eyes as possible. The At Home Writer's Conference is September 25 - 27 and the class line-up is a good one! We'd love for you to join us! So tell me, what would you add to this list?